Haunted. This word lurks within our deepest emotions. It's a fear we can't let go of, or that won't let go of us. It's a place we dream of going, or a place we can never leave. An LAPD detective is haunted by the case she never solved. A Century City financial advisor is haunted by the greed he cannot escape. A bridge is haunted by ghosts of despair. In a city of 10 million people, the haunted could be the man waiting to cross the street, or the memory that keeps you awake at night. 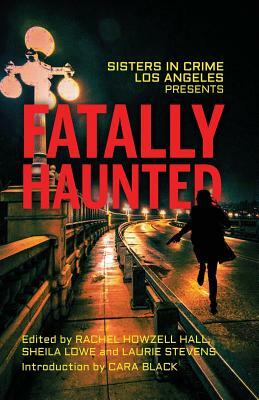 Fatally Haunted, a Sisters in Crime/Los Angeles anthology, includes original stories by Julie G. Beers, Julia Bricklin, Roger Cannon, Tony Chiarchiaro, Lisa Ciarfella, Cyndra Gernet, B. J. Graf, Mark Hague, A. P. Jamison, Micheal Kelly, Alison McMahan, Peter Sexton, Gobind Tanaka, and Jennifer Younger.